Kindle your intentions for the year as you revel in a full spectrum of poses set to live music by Kevin Paris. 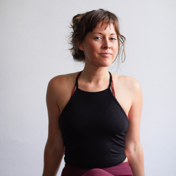 Explore the concept of tapas, using heat, focus, meditation, and breath to burn through your obstacles and get clearer in your purpose. 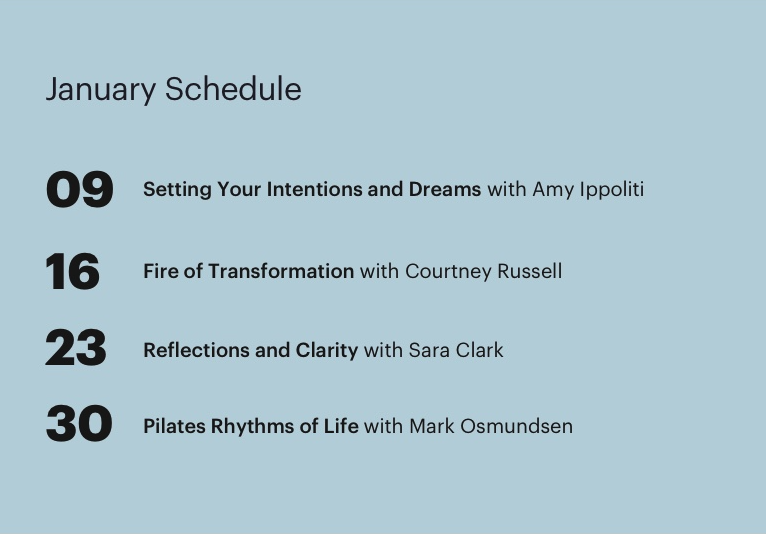 Bring your intentions for the year into crystalline focus through rhythmic, breath-centered flow and contemplative meditation. 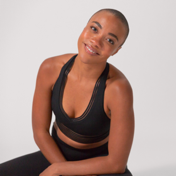 Find your rhythm in this beat-based Pilates fusion workout that’s equal parts dance party, sweat session and moving meditation.